The weather is cooling, the nights are getting longer, and I for one am welcoming the change in seasons as we head into a calmer, quieter time of year. I am going through our winter activity and hotel lists, planning sleigh rides and snowshoeing adventures, trips to hot springs and train rides through glorious mountains. 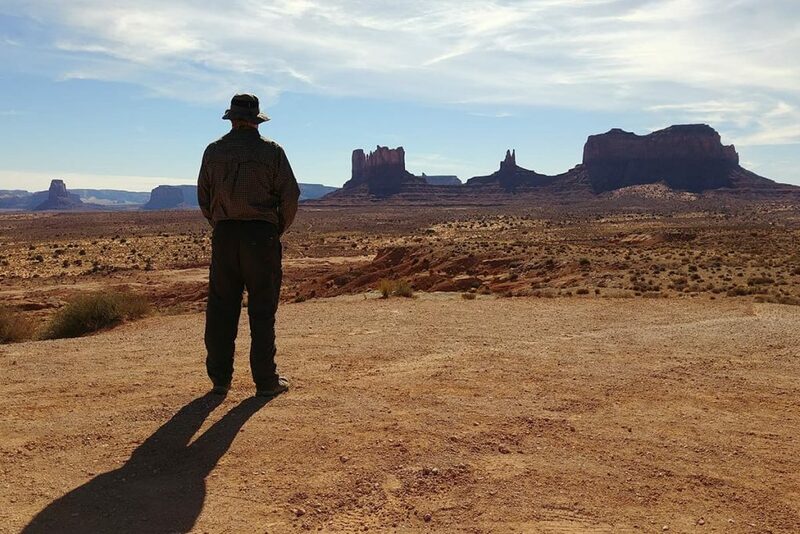 There is so much to love about winter in the western USA, and we have three very unique tours that capture all of the reasons why traveling in the off-season offers a completely unique adventure. 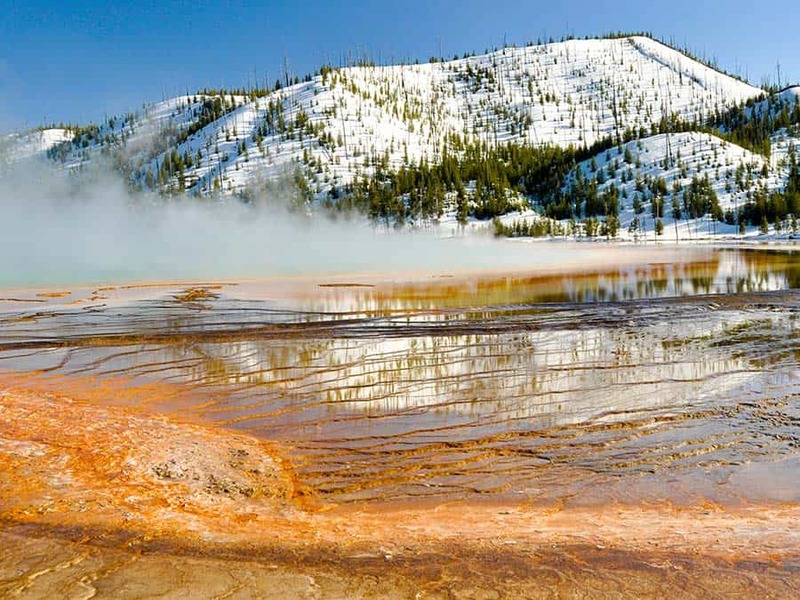 For more details about each tour you can head to the tour overview pages: Winter Wonderland, Yellowstone Winter Tours and California Winter Expedition. The dusting of winter snow on rugged landscapes adds a beautiful dimension to our favorite National Parks. Late sunrise and early sunset offers opportunities for ideal lighting, without extra long days. The sun low on the horizon casts a golden glow quite unlike other times of the year. Even landscapes that are famously photographed thousands of times a year take on an other-worldly look in winter, providing unique perspectives to our photography group. Wild creatures come down from the mountains to populate the quiet winter landscape and can be seen in more frequency on all of our winter tours. 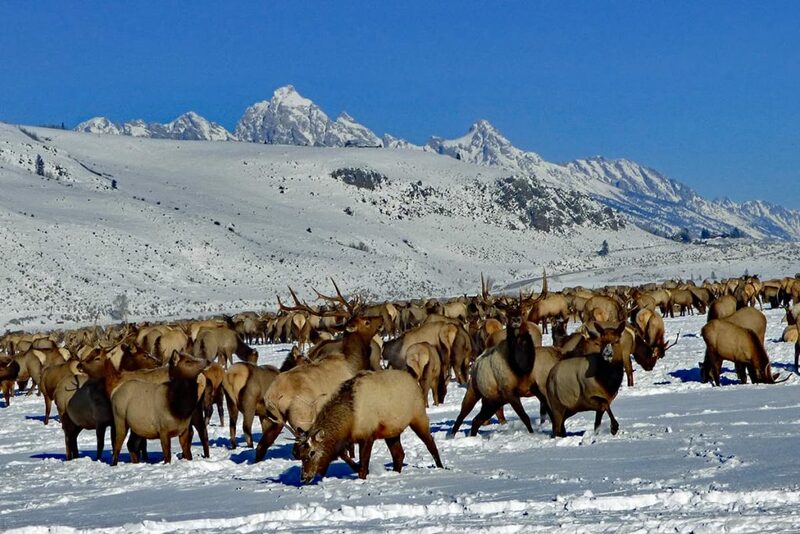 For those particularly interested in wildlife I recommend the Winter Yellowstone tour, where it’s quite common to see bison around the thermal pools of Yellowstone, elk in the valleys of the Teton Mountains, wolves hunting in the lowlands and smaller wildlife throughout the region. And on our California Winter tour it’s the perfect time to spot large colonies of elephant seals gathering during breeding season along the coastline. 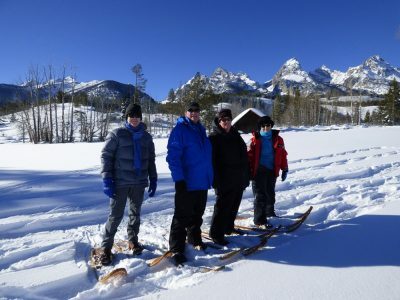 From dog sled rides, to traveling through Yellowstone National Park by snow coach, viewing icy waterfalls, and gazing at the snowy mountains from the warmth of a hot spring, winter offers many fun and unusual activates that can only be enjoyed in the off-season. Our winter tours offer an opportunity for snowshoeing and cross-country skiing, bringing you into the heart of the landscape, and for those who would like a less physically involved activity the option of renting snowmobiles allows you to zoom through snowy fields. Winter is the time of year that most people settle in and wouldn’t think of traveling far from home, and therein lies the benefit to those adventurers that do. Enjoy these famous natural wonders in the peace and quiet of the winter season, where fewer tourists venture out, and mainly locals enjoy the landscape. In summer millions of visitors flock to the parks, while in winter only a handful make the journey. Take a look at these statistics from Yellowstone National Park and Yosemite National Park to see the significant difference, this trend is mirrored at all the parks we visit. 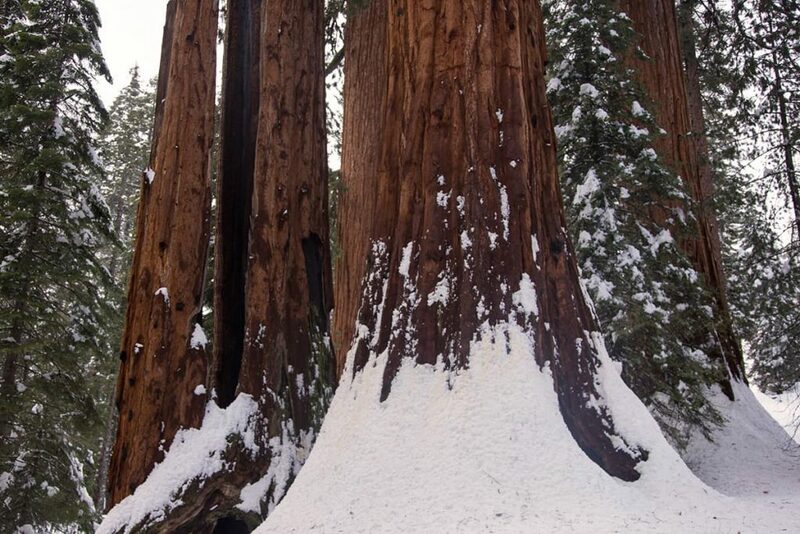 Our winter tours feature unique accommodations (as all of our tours do), but we also stay at the heart of several National Parks, unlike other times of year where park accommodations are overrun by large tour bus groups. This gives you the unique opportunity to wake up inside the national park, wander out your door and experience the serenity of these expanses individually. Winter is a special time in many of our favorite regions like Monument Valley, the Canyon Lands, Yellowstone National Park, the Grand Tetons and the Rocky Mountains. We still have a few spots open on our Winter Wonderland, and Yellowstone Winter Tours, or come see the a different side of California with our California Winter Expedition. Visit our website or contact us for more information.